UNAVCO Facility and PBO personnel traveled to Goddard's Geophysical and Astronomical Observatory (GGAO) in September to do reconnaissance in preparation for the installation of two deep drill braced monuments. The current GNSS monument, GODE, will have to be abandoned once the new VLBI antenna is installed in 2010 as part of the first prototype 'NASA Supersite'. Personnel also attended a proof of concept demonstration led by Benno Schmeing, a graduate student from Germany, which involved a Robotic Total Station and a VLBI antenna. 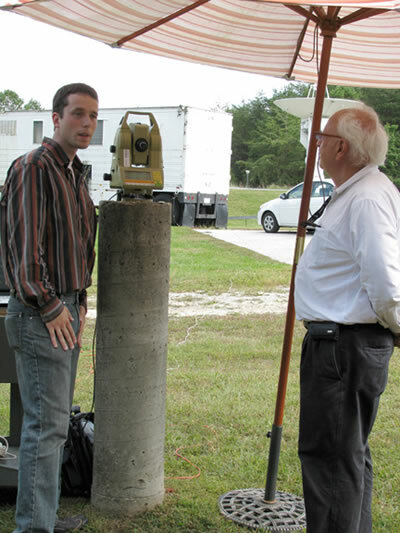 Under complete computer control, a Robotic Total Station performed a partial local-network survey which determined the relative positions of several geodetic markers and the Total Station. Following this, the VLBI antenna, under complete computer control moved through a sequence of positions, and the Total Station, also under complete computer control, measured the angle and the range to a target mounted on the antenna. The measurements were then used by analysis software developed by Benno to determine antenna properties such as axis-offset, non-orthogonality of the axes, and the antenna reference point, as well as the location of the antenna reference point in the local coordinate system. The entire process took roughly 1 hour to complete. Figure 1 - Benno (left) describes the experiment while funding sponsor John Labrecque (right) observes. 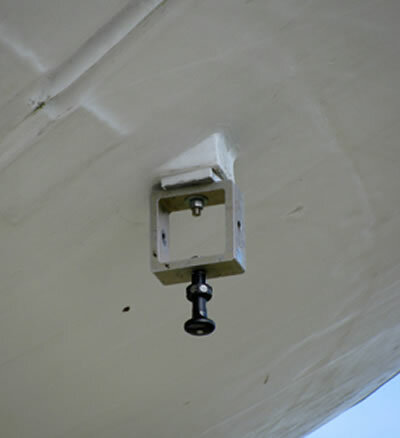 Figure 2 - Target mounted on VLBI antenna.